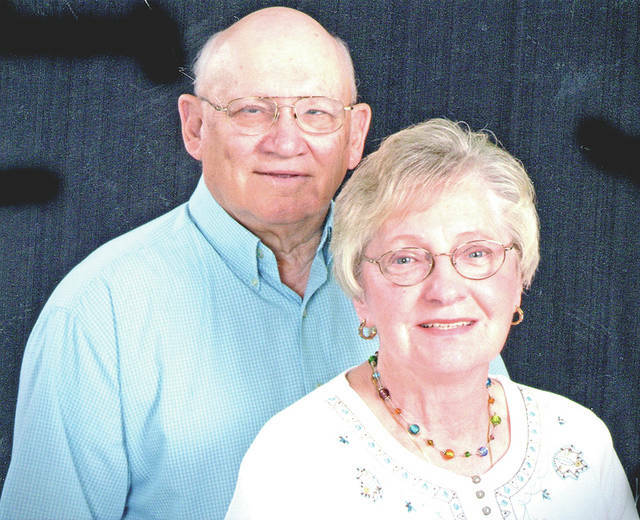 Eldon and Julia Eselgroth will celebrate their 60th wedding anniversary on April 2. Eldon and Julia (Detty) Eselgroth will celebrate their 60th wedding anniversary on April 2, 2018. They were united in marriage April 2, 1958 by the Rev. C. H. Maury in the South Salem Presbyterian Church. Mr. and Mrs. Edward Hodge were the only attendants. The Eselgroths are the parents of two daughters, Cindy (Dwayne) Tyler and Jennifer Eselgroth, both of Greenfield. They have two grandchildren, Derek (Ronnie) Nelson and Natashia Nelson, both of Greenfield; five great-grandchildren; and a niece, Rebecca Scaff, and her two children of Columbus. Eldon Eselgroth retired from farming after 50 years and Julia Eselgroth retired from the Greenfield school system after 25 years. The couple plan to celebrate with their family on April 2.
https://www.timesgazette.com/wp-content/uploads/sites/33/2018/03/web1_Eselgroth-pic.jpgEldon and Julia Eselgroth will celebrate their 60th wedding anniversary on April 2.